Steel Authority of India Limited is an Indian state-owned steel making company based in New Delhi, India. It is a public sector undertaking, owned and operated by the Government of India with an annual turnover of INR 44,452 Crore for fiscal year 2016-17. Incorporated on 24 January 1973, SAIL has 74,719 employees. Applicants who have completed 10th, Diploma or equivalent from a recognized Institute for SAIL Recruitment 2019. 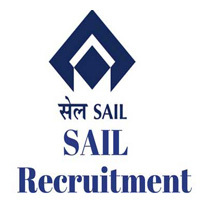 Eligible & Interested candidates can apply via online in Official website page in www.sail.co.in SAIL Recruitment 2019. Complete the SAIL Jobs Application Form with the essential data.